Here is a popular Amish Built Garage model with 12/12 pitch attic truss package upgrade which includes 3/4â€³ floor, staircase and 2-additional windows. 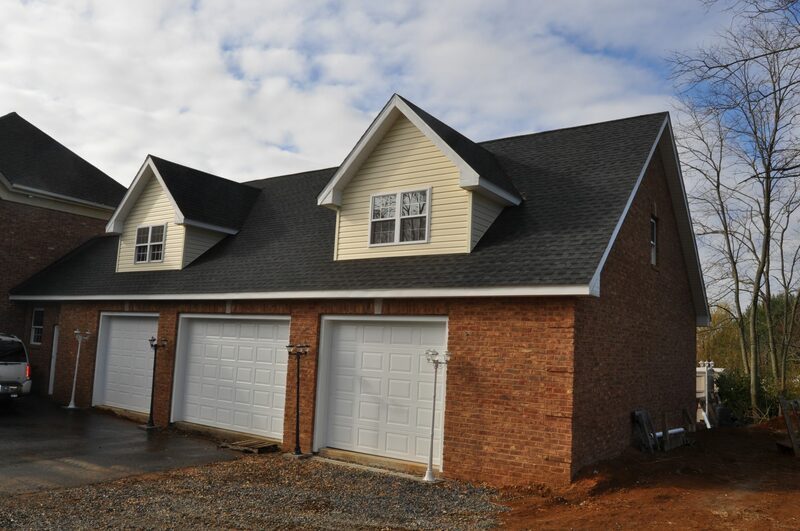 The 2nd upgrade is the 2-4â€™dormers, The 3rd is the Carriage style garage doors. We design your garage to your specifications. Your design is sent to our Drafting and Engineering company. Upon your approval the engineer stamps your plans specific to your state, county and local code. 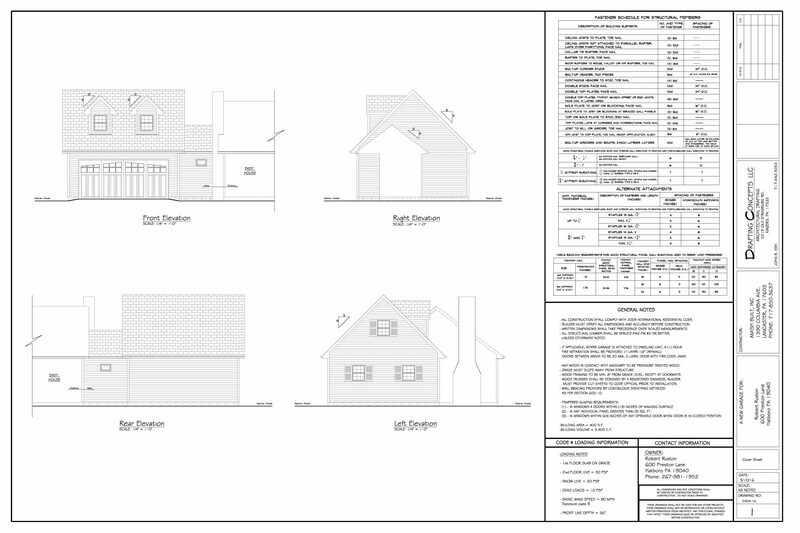 Once the plans are approved and the permit is issued we schedule the foundation installation. We pour the footers, lay up the block foundation wallÂ and pour the floor. From design and engineering to foundation and garage installation including all the scheduled inspections with the building department. We handle just about everything. Start with our standard model and build from there. 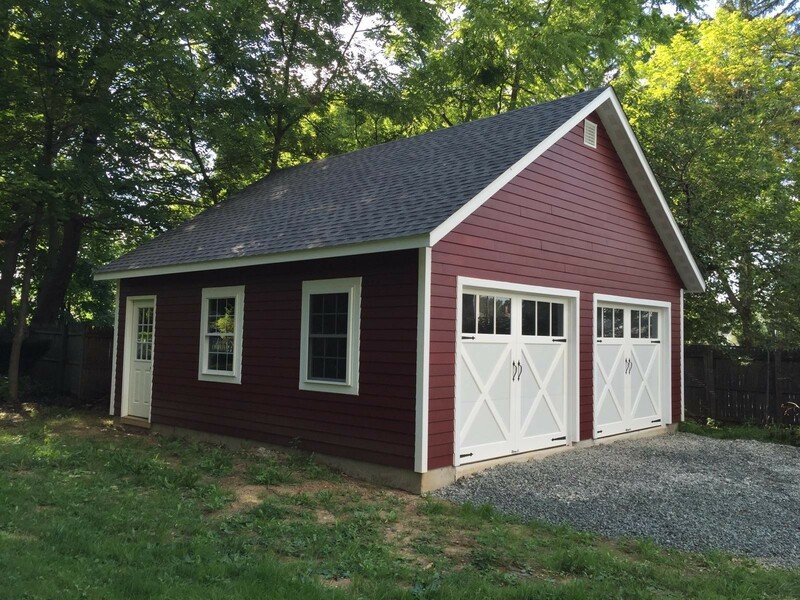 Itâ€™s your garage make it beautiful! 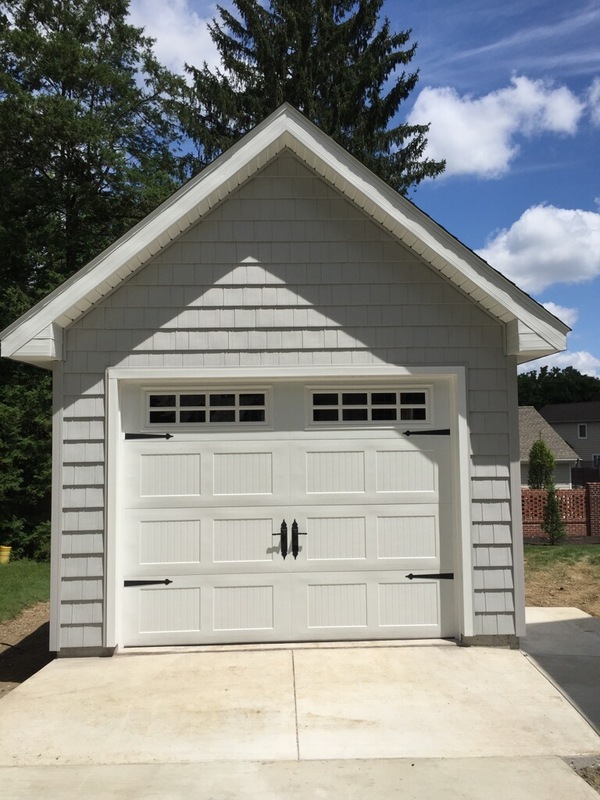 Contact us for Custom Amish Built Garages!